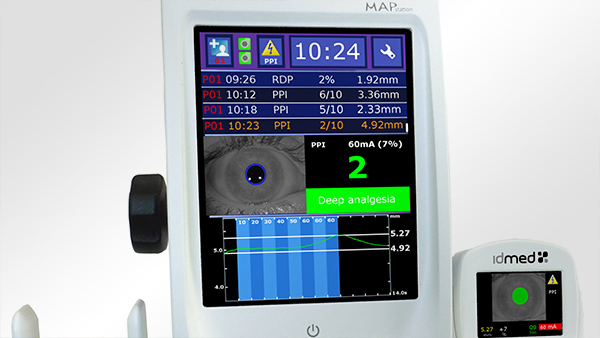 MAPstation uses pupillometry to provide an objective measurement of patients’ analgesia level. 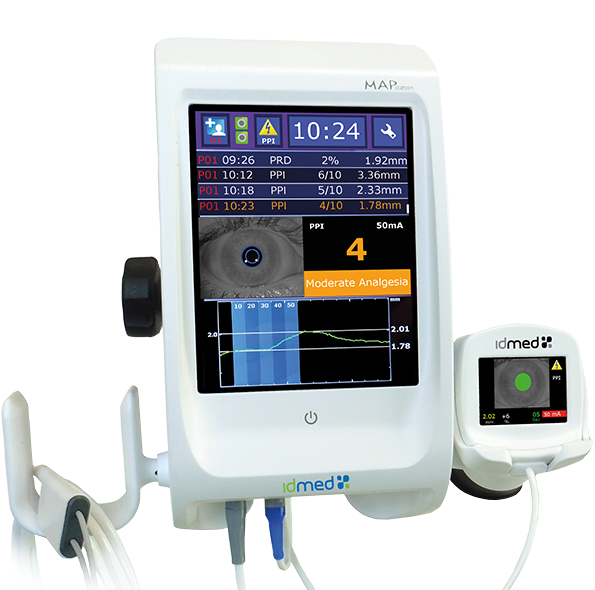 This method, widely published and documented, has shown its relevance and precision for assessing the level of analgesia as well as the prediction of hemodynamic response to nociceptive stimuli. 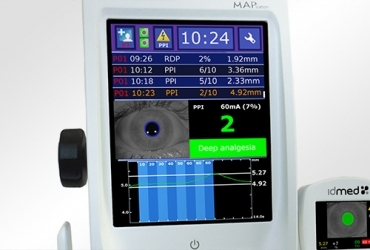 The high definition video gives instantaneous measurements for an immediate clinical interpretation. 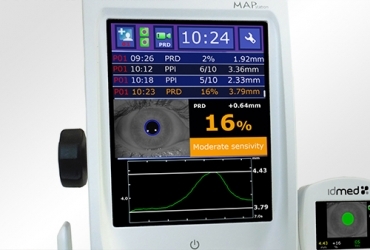 These fast measurements are unequalled in precision while protecting the eye from any lesion or drying out. The design and mobility of the video sensor ensure that measurements are taken independently of the patient’s morphology and in most surgical positions. 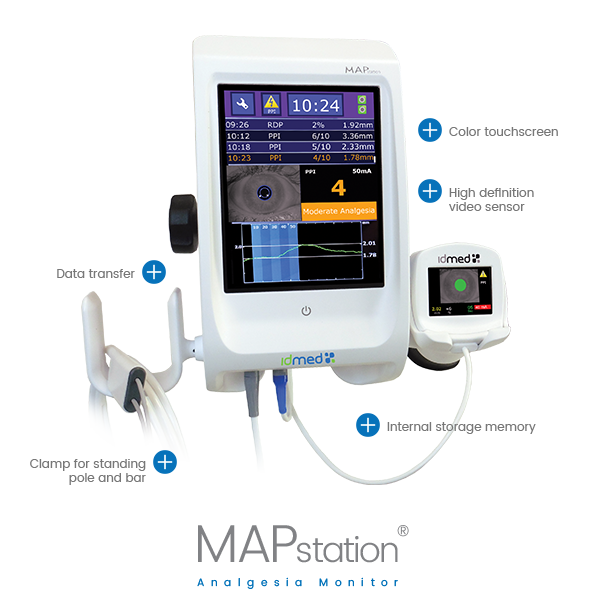 The MAPstation is a an intuitive device easy to use. Its fixation with a clamp provides ready access and prevents falling. MAPstation was designed with simplicity and ergonomics in mind. Healthcare professionals have a reliable and robust tool to monitor analgesia. "Intraoperative monitoring of analgesia using nociceptive reflexes correlates with delayed extubation and immediate postoperative pain: A prospective observational study." Jakuscheit A, Weth J, Lichtner G, Jurth C, Rehberg B, von Dincklage F.
Immediate postoperative pain could be prevented by the administration of long-lasting analgesics before the end of the anaesthesia. However, to prevent over or underdosing of analgesics under anaesthesia, tools are required to estimate the analgesia-nociception balance. Eur J Anaesthesiol. 2017 May;34(5):297-305. doi: 10.1097/EJA.0000000000000597.